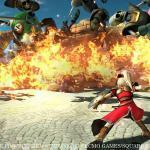 Dragon Quest Heroes Comes To America October 13 Square-Enix announced today that Dragon Quest Heroes, its DQ spinoff title featuring most of the cast from the past ten games in the series, WILL see shelf space in American stores. However, for its Stateside release, the game will be titled Dragon Quest Heroes: The World Tree’s Woe and the Blight Below to keep in accordance with the law that all Square-Enix games must have ridiculous and embarrassing titles. 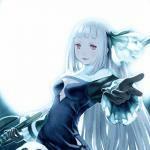 Yes, America Will Get Bravely Second Few JRPGs in recent memory have been fought over like the 3DS’s Bravely Default (Flying Fairy). This game became well-known in JRPG fan circles before it was localized as the only game Square-Enix had released in the last five years that came close to the output of their golden age. People demanded it for a long time, but Square remained apathetic to American handhelds, and eventually it had been years since its Japanese release and the possibility looked to be long gone. Witcher 3 Gets Its First Patch For those who’ve run into annoying glitches in their new Witcher game, fear not. CD Projekt Red has released its first patch for The Witcher 3: Wild Hunt. The patch is now available on PS4, XBox One and PC. Unfortunately there don’t seem to be any patch notes for the XBox One version, so we can’t confirm any of the most important problems that need fixing have been fixed — chief among them the deadly save-corrupting bug that was discovered last week. Projekt Red is aware of the bug, but if the patch fixes it, they haven’t told us. Everything You Know About “Final Fantasy” Is Wrong The title, at least. 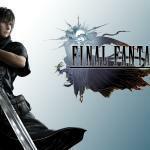 You may have heard Square was deep in financial trouble when they started developing the original Final Fantasy game, and named it “Final Fantasy” because they figured it would be the last game the company would make before going out of business. 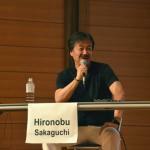 Today Hironobu Sakaguchi, creator of the series way back when, told Weekly Famitsu the story is false. 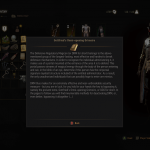 The Witcher 3 Hates DRM As Much As You Do DRM, short for Digital Rights Management, has been a controversial method of defending copyright in digital media, to say the least. DRM usually takes the form of bugs implanted in music or movies you buy digitally that do things like lock them to one device, prevent them from being played outside of two or three designated players, or sometimes require an Internet connection to function. People often feel as if they’re being led on a leash, or being sold half a product which the corporation can take away at any time, even though they’ve paid for it. 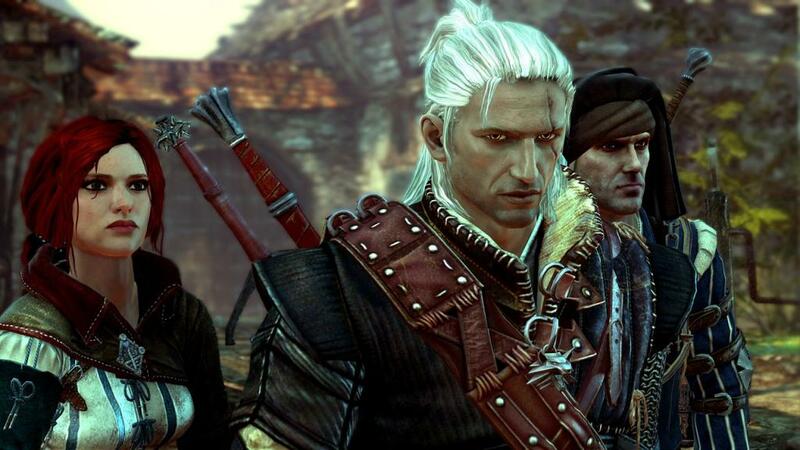 Now That Witcher 3 Is Out, What’s Next For Projekt Red? 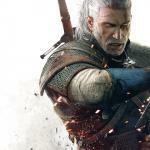 The Witcher 3: Wild Hunt is a smash hit, selling millions of copies and delighting critics around the country. 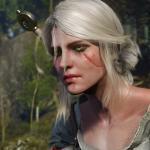 It’s certainly risen the status of CD Projekt Red, the previously obscure developers of the game. Now everybody’s wondering: what do they plan to create next? Projekt Red’s next game was actually announced back in 2012: a cyberpunk, open-world RPG literally called Cyberpunk 2077. It’s only now that they’re starting serious work on it, and they have no plans to show the fruits of that work until 2017. More News On Final Fantasy XV Coming Next Week Currently Square-Enix is planning to hold a press conference before E3, but we may hear a bit of news from the company before then. Square announced today it would be broadcasting another Active Time Report on June 4. The director of Final Fantasy XV, Hajime Tabata will be hosting and will provide “development updates” on the game’s progress. Also appearing in the live stream will be global marketing manager Akio Ofuji. 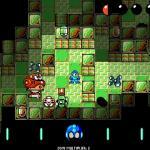 Crypt of the NecroDancer Gets Mega Man Mod Crypt of the NecroDancer, which was released last month, is a roguelike sprite-based dungeon crawler with a twist: it’s also a rhythm game. To progress, you not only have to bop monster after monster, but hop constantly to the beat of whatever music is being played in the dungeon. This music could be anything — you can import your own MP3s into the game. 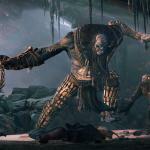 Watch Out For Witcher 3 Bug On Xbox One It may be debatable which version of Witcher 3 is superior, but we do know which one currently ranks at the bottom. Some players of the new action RPG on the XBox One platform have reported running into an evil glitch that corrupts save files. 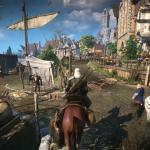 What Is The Best Version of Witcher 3? The PC version. Duh. What else were you expecting? Of course, that conclusion is only correct if you’re running a PC powerful enough to render the graphics of The Witcher 3: Wild Hunt at their maximum setting. If your computer is a few years old with no upgrades, either of the console versions of the game will probably look better. Or if you’re not a PC gamer, the mere factor of playing the game on a sofa is going to make all the difference.